Winter uniform information for kindergarten parents can be located in the Announcements & Events section. Homework will be posted at the end of the day by 4:00 pm and can be located in the Homework Section of my teacher site. Links needed to access homework sites can be found in the Useful Links section. Feel free to email me with any questions that may arise. Mrs. Christan McIntyre has nine years of formal teaching experience and holds a Bachelor of Science in Elementary Education from Salisbury University and a Master of Education in Special Education from the University of Maryland. Mrs. McIntyre has completed additional graduate and doctoral studies in the areas of assessment, curriculum design, and primary literacy; she holds the highest attainable teaching certification through the state of Maryland in the areas of Elementary Education and Special Education. 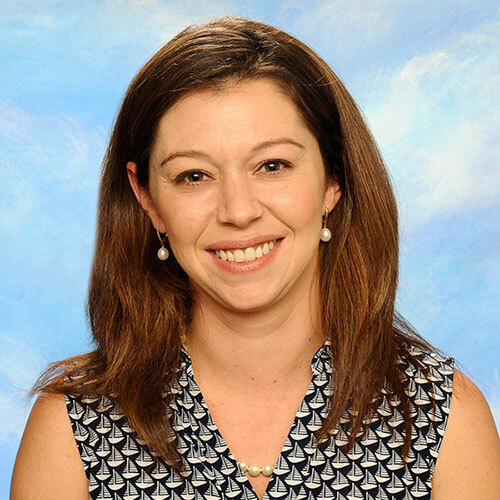 Mrs. McIntyre’s current research interests include early vocabulary acquisition and the impacts of Social-Emotional learning on student achievement. After graduating from St. Francis de Sales in 1996, Mrs. McIntyre was proud to return to our school community as a teacher in 2012. Prior to teaching kindergarten, she served as the school’s Academic Resource teacher, coordinated the Title I program at St. Francis, and acted as an Internal Coordinator, alongside Mrs. Traum, during the school’s Middle States re-accreditation process. Highly influenced by the Social and Emotional learning theories and Humanistic philosophies, Mrs. McIntyre advocates for cultivating a learning environment founded on mutual respect, kindness, and empathy. She feels that learning is best facilitated when the students in the classroom feel like valued members of a community. In Mrs. McIntyre’s classroom, learning is viewed as a continuous and individualized process which is dependent on each student’s development. Please note that our classroom is usually very warm. Dressing in layers is recommended. Weekly Sight Words: No new assigned sight words. Please revisit previously assigned words. Enjoy all of the holiday traditions and activities that your family participates in! Read a great story or enjoy popcorn and a festive movie! Thank God for all of the wonderful blessings that he has bestowed upon us. Enjoy them and find time to celebrate Joy during this third week of Advent! At this time, our class has everything we need. Thank you for your generosity!